When you think about sparkling wines and Italy, Prosecco will no doubt be the first thing which comes to mind. But for fine Italian bubbles, you should really look to Franciacorta. Franciacorta, a wine region in Lombardy just south of Lake Iseo, is a place whose still wines have been noted in history by the likes of Virgil and Pliny the Elder for its exceptional quality. But in recent times, it is their sparkling wines which have brought the region back in vogue. Wines of the region were only denominated as Franciacorta in 1957, when winemaker Guido Berlucchi released a still white wine called Pinot di Franciacorta. Then in 1961, with the help of Franco Ziliani, Berlucchi produced a sample 3,000 bottles of sparkling wines. The wines, produced via metodo classico (the same method as champagne), gained instant popularity and flew out of the Berlucchi cellars. The following year, production was increased to some 20,000 and has been steadily increasing since. Standards of Franciacorta have always been maintained though. And in 1995, Franciacorta was awarded the DOCG (Denominazione di Origine Controllata e Garantita) status as an indication of its superior quality. These days, a handful of Franciacorta producers lay claim to an output of around 13 million bottles – only a tiny fraction compared to Champagne. But just like Champagne, it is the only Italian wine which doesn’t need to declare its appellation on the label. The pedigree all looks very good on paper but what does it taste like? 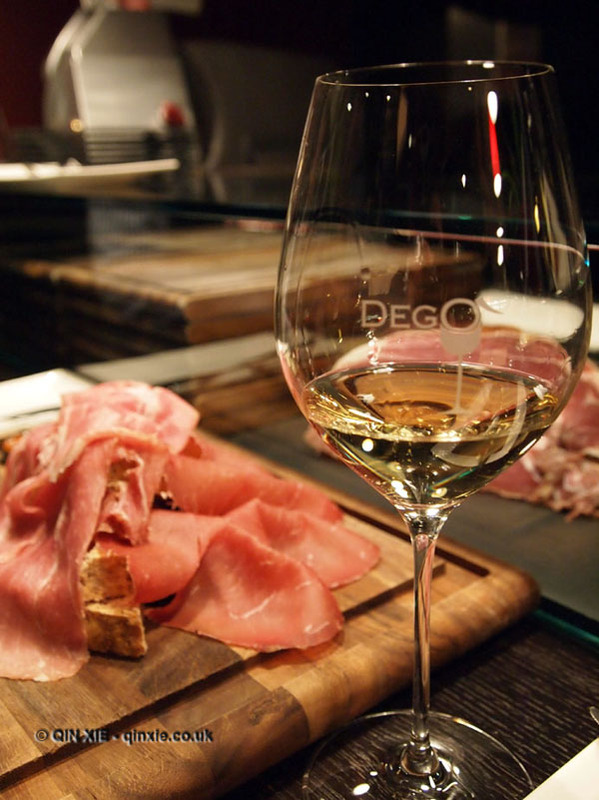 In conversations and tastings with the sommeliers at the very Italian Amaranto and Degò, the feedback has always been very positive. The little known sparkling wine, hidden like an Italian secret, has quality that’s comparable to that of Champagne but at a snip of the price. And elsewhere, including in the likes of award winning journal The World of Fine Wine, the consensus is in agreement – Franciacorta is a more than worthy contender on the platform of sparkling wines. I invited Tom Harrow of WineChap to Vini Italiani, a South Kensington wine shop specialising in Italian wines, for a tasting of Franciacorta. One of the owners, Matteo Berlucchi, is in fact a member of the Franciacorta making family Fratelli Berlucchi so bubbles were certainly in their veins. Harrow, already familiar with Franciacorta, was immediately happy to declare 2012 as the year for it. I was inclined to agree. 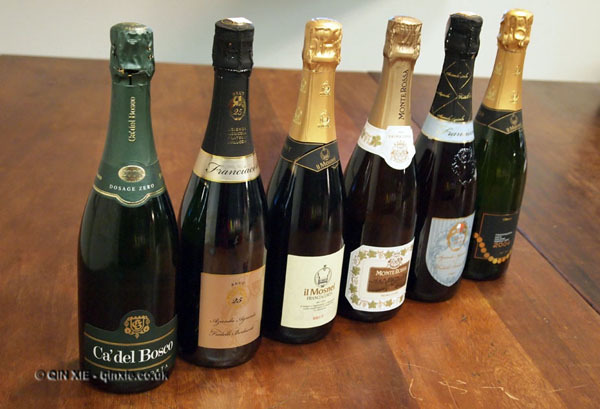 We tasted the Brut 25 NV Fratelli Berlucchi, Brut NV Il Mosnel, Prima Cuvee Brut NV Monte Rossa, Brut Rose Millesimato 2007 Fratelli Berlucchi, Pas Dose Riserva “QDE” 2004 Il Mosnel and Dosage Zero 2006 Ca’ del Bosco. Each had its distinct characteristic, minerality and a rich butteriness that the average Prosecco simply cannot comprehend. And fruit too, was surprisingly prominent. Harrow, I think, was rather captured by their structure. The Dosage Zero 2006 Ca’ del Bosco, he says, would happily rest for a few more years before maturity. Generally finding pink to be a deterrent, I actually quite fancied the Brut Rose Millesimato 2007 Fratelli Berlucchi for drinking right now (Valentine’s Day in particular). All in all, a rather tasty afternoon’s work. ← Blakes Restaurant: A dessert worth conquering, or being conquered by!